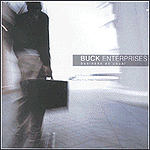 BUCK Enterprises was a Christian ska band that hailed from Michigan. They were one of the bands that was part of the Christian third-wave ska movement. 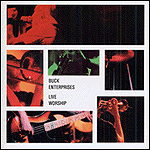 Originally, their name was BUCK(Building Up Christ's Kingdom), but because of legal problems their name was changed to BUCK Enterprises. The band released two full-length records, an EP, and a couple live concert albums. They also released two independent releases before their debut self-titled album. After their break-up in 2003, original frontman Dan Reynolds returned and restored the band with their original name of BUCK, until their final break-up in 2006. The band went through many line-up changes throughout its career.